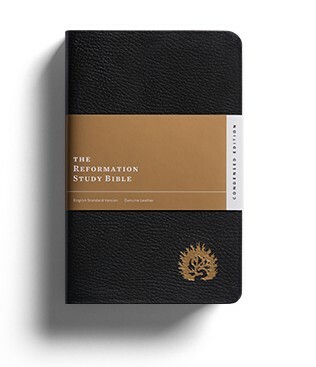 Last year, we released the Condensed Edition (ESV) of the Reformation Study Bible, providing concise, trustworthy commentary in a portable study Bible for travel, worship, and life on the go. Now this study Bible is available in a beautiful new gift edition. Give a new graduate, church member, or friend a copy of the Reformation Study Bible and equip them for lifelong Bible study. Order your copy today. Available now on Ligonier.org, Amazon.ca, and Amazon.co.uk.